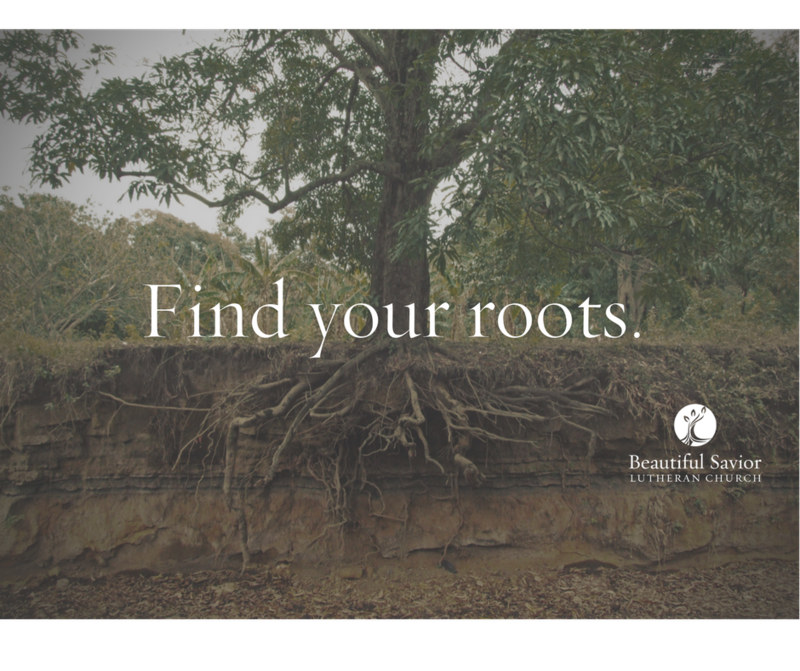 Our next 8-week “Roots of Faith” course, beginning Sunday, September 30th, can help you find yours in Christ. Join Pastor Tinetti as we explore the essentials of the Christian faith, drawing on the Bible, the Small Catechism, and the liturgy (not to mention some pop culture for good measure). As part of the process, those who are willing are also paired with a mentor (or mentor-couple) from the congregation. You will emerge with stronger roots and a clearer sense of who you are and what you believe. We will gather Sundays after worship from (about) 12-1:30. We’ll share a simple meal and learn together; nursery care can be provided as well upon request. The deadline to enroll is Tuesday, September 25th. If you have questions or would like to enroll, complete the form below or contact Pastor at pastor@beautifulsaviorspokane.org. I would like to enroll in Roots of Faith. I am interested in becoming a member of Beautiful Savior Lutheran Church.